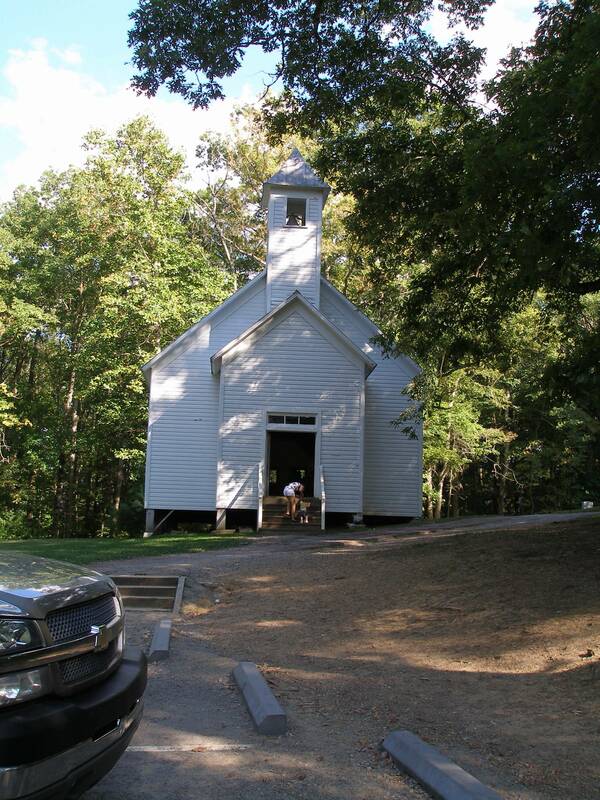 A little over a week ago Jack expressed a desire to visit Cades Cove on Sunday. Though it was Easter, we packed up some bananas for a snack, some water, and the dog, and off we went. Cades Cove is such a scenic place. It is really worth a trip if you have not been there. It takes us about three hours to get there. We go through Wolf Mountain, Sylva, Cherokee, and over the mountain by Clingman’s Dome, to the Sugarlands Visitor Center, then down the road that follows the old railroad grade by Elkmont to the entrance to Cades Cove. We passed up the entrance and went a few miles further to Townsend for lunch and then went back to the Park. 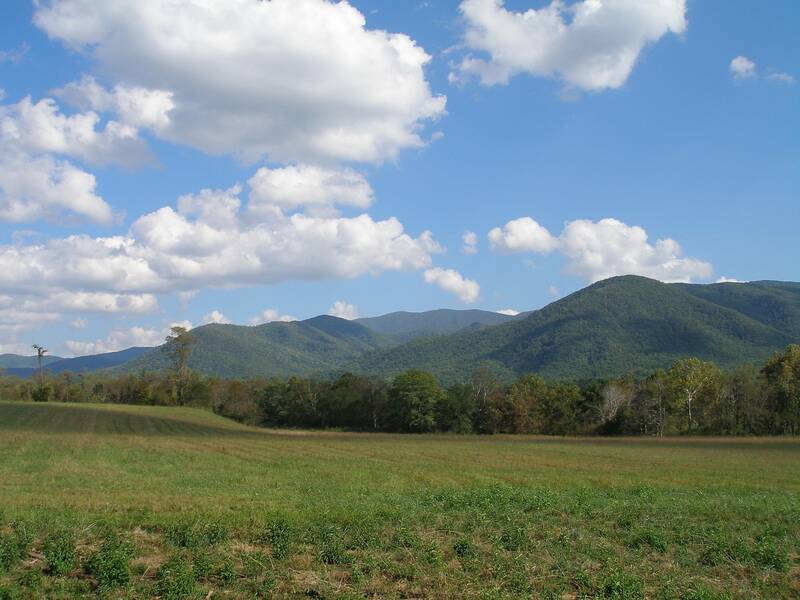 I became interested in Cades Cove years ago while doing genealogical research. So many of my family documents on my father’s side gave the birthplace as Cades Cove. I found out that my great, great grandfather Nathan Rose went from the area that is now Yancey County, NC and lived in Cades Cove for a number of years. Several of his children were born there. We always see a lot of wildlife at Cades Cove. Turkeys are common, as are deer. It is not unusual to see a bear, though we did not see a bear this time. Once we saw a coyote stalking a deer. I would rather have not seen that. I hope it got away. Once we saw a bear with two cubs crossing the road. They had traffic blocked near us. One lady was out in the road near them with her camera. Brave soul! There are a few old structures in Cades Cove. Most of the houses were torn down when the Park Service took over the cove in the early 1900’s. Only the oldest and sturdiest structures remain. Today an old barn I used to see has vanished, having been allowed to rot down. There was at least one more old property at Cades Cove when I first went there that is no longer accessible. There was a large barn on the trail. Maybe they tore it down also. One thing I do not like. They are letting some of the fields grow up. If they had to cut the timber and grubbed up the new ground as the old people had to, they wouldn’t be so quick to let it revert back to forest. Another thing is that they allow fallen timber to simply lie. The area toward the end of the 11 mile loop road is littered with fallen timber, like one gigantic brush pile, and most of it is pine. One zap of lightning and the blaze would reach to the top of Thunderhead. Mostly though, Cades Cove is a beautiful, beautiful place. You can see why it was settled – wide, wide bottoms, plenty of water, though the smaller streams dry up toward the end of summer. (Thankfully, ours here at Lake Toxaway run all the time.) And those beautiful, sheltering hills. We had lots of places here in Transylvania County that were every bit as pretty as Cades Cove, along the upper French Broad River Valley between Brevard and Rosman, but very few any more. I know people have to live somewhere, but, oh! What we have lost! Cades Cove was lovely, but this Sunday I am looking forward to being in the Lord’s house.